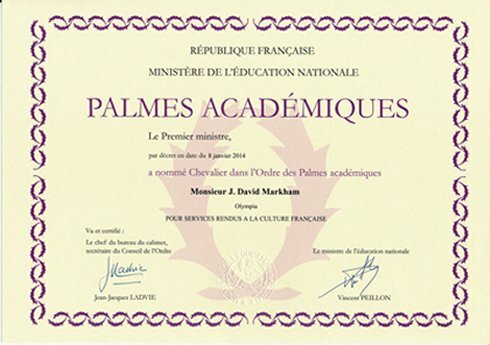 The INS is proud to announce that France has appointed INS President J. David Markham a Knight of the French Academic Palms (Chevalier dans l'Ordre des Palmes académiques). This award, the oldest and highest civilian award in France, was instituted by Napoleon in 1808. 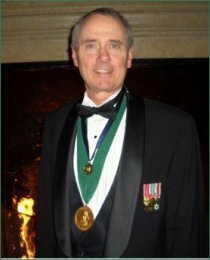 President Markham was given this award for his work in promoting French culture and history in the United States and throughout the world. According to Markham, ‘This is the singular honor of my career and I thank France and all my friends and colleagues who helped make this possible.’ His Excellency Jean Mendelson, French ambassador to Cuba, will present the award at a special reception at his home during the upcoming INS Congress in Havana.